When it comes to your kitchen, we know you want to get everything right. No matter what is going on in your home, chances are the kitchen is where everyone will end up. So, how do you get that eye catching look? Simple. Use stainless steel appliances. 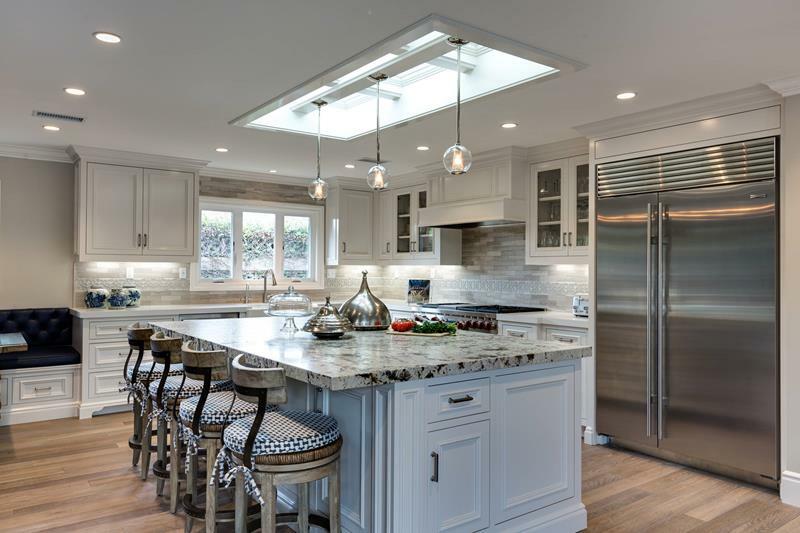 Stainless steel appliances can give your kitchen that sleek, functional, and industrial look you want and they work with any overall design style you can come up with. 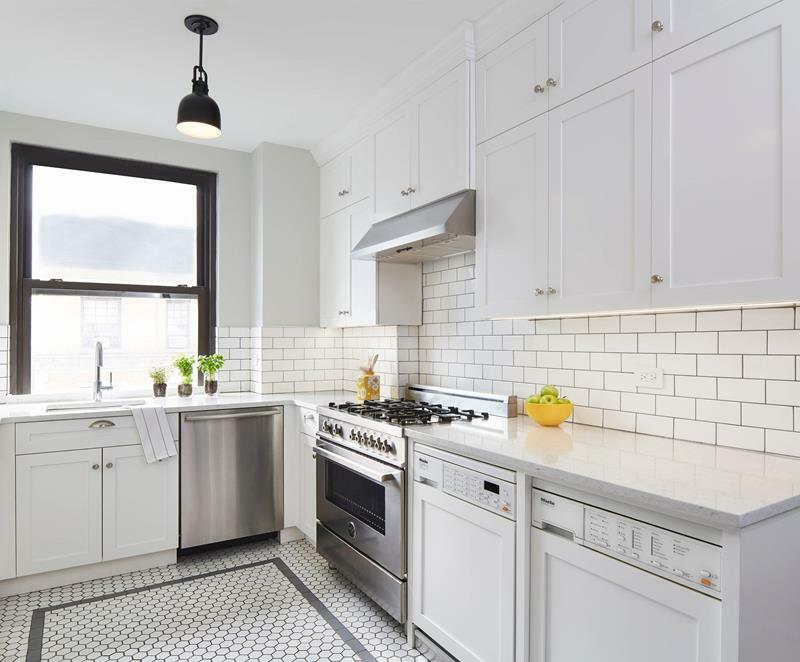 Below, you will see how well stainless steel appliances work for both traditional, early century styles as well as contemporary and creative looks. They blend and match well with all types of materials, too. Take your time and find a style that works for you. 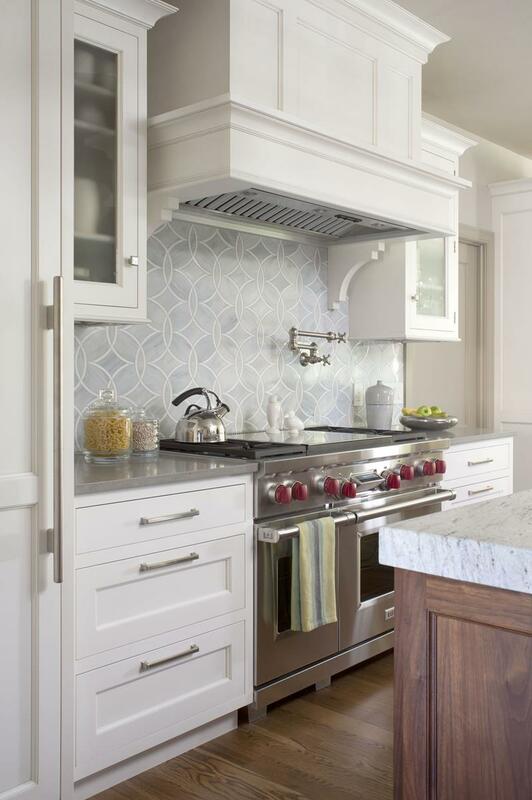 The stainless steel range and hood vent in this kitchen match the center island gray color really well. 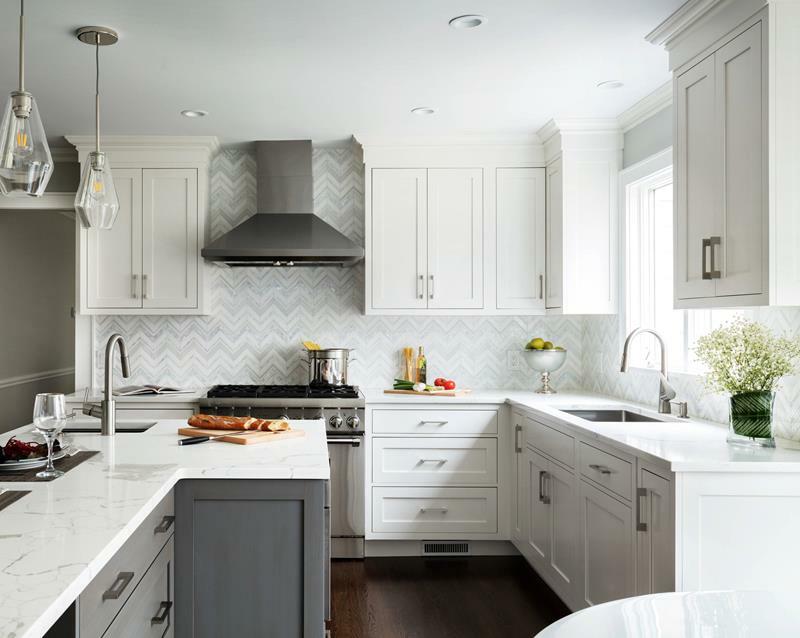 We love the herringbone backsplash and how well it matches the overall design. This kitchen works well to create a modern industrial style and the stainless steel appliances are the main reason it works so well. Photo by O’Neil Industries Inc. 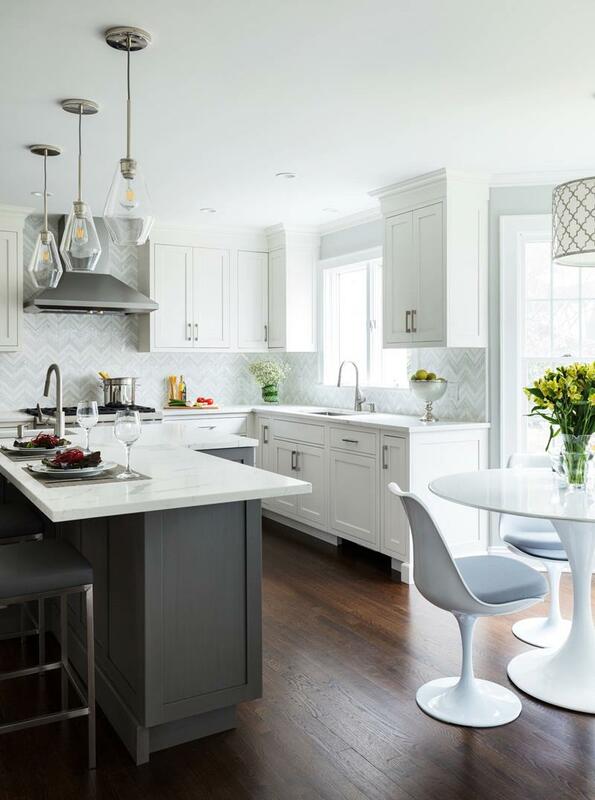 This kitchen is another example of how well stainless steel can work with a gray color to create contrasts in a light kitchen. 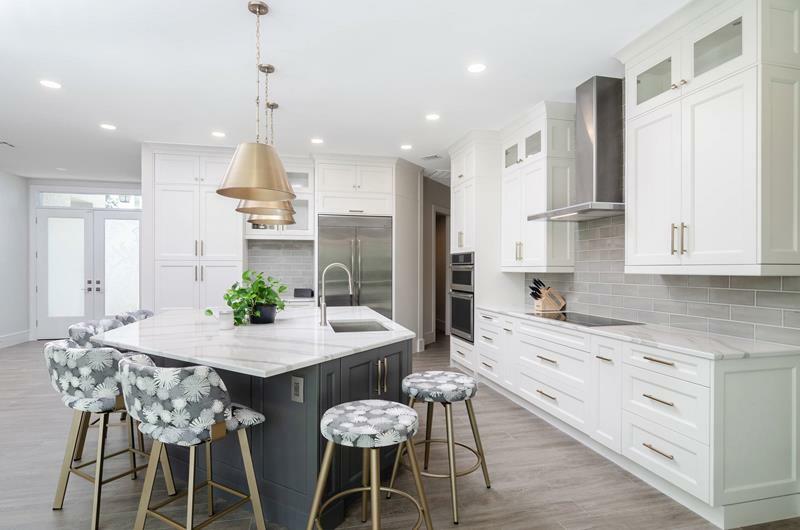 Most people don’t think about elegance when it comes to stainless steel, but you can see how well this room works with these appliances to create an elegant style. 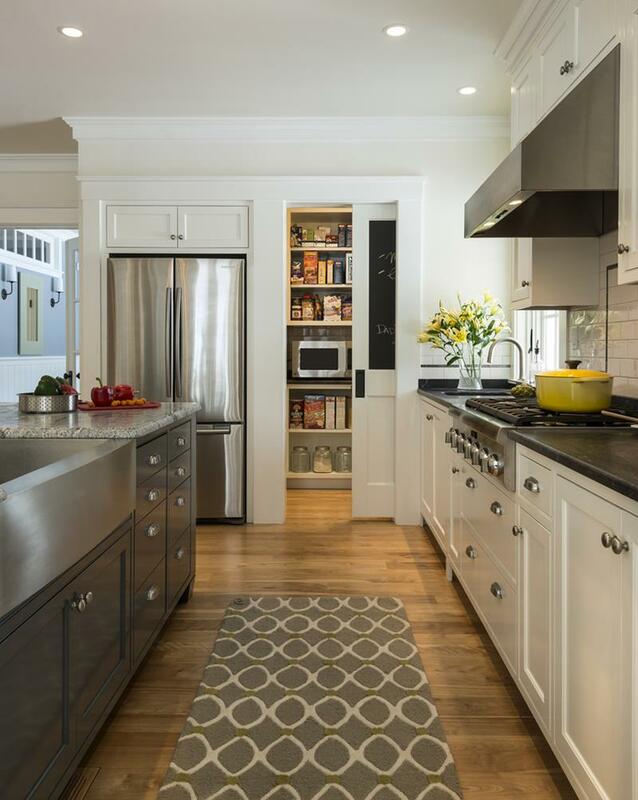 We love how this kitchen uses a large stainless steel refrigerator and how well its flat front works in this space. 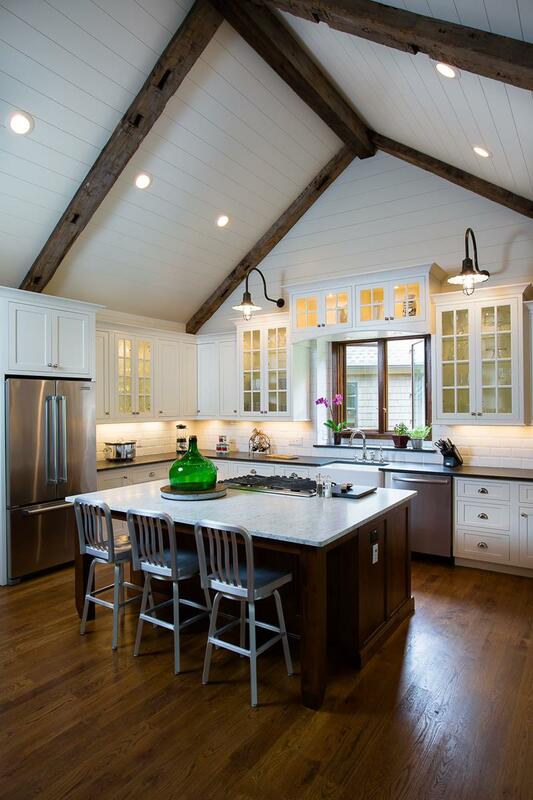 The floor plan of this kitchen allows for an open area to move around, giving it a large elegant feeling. 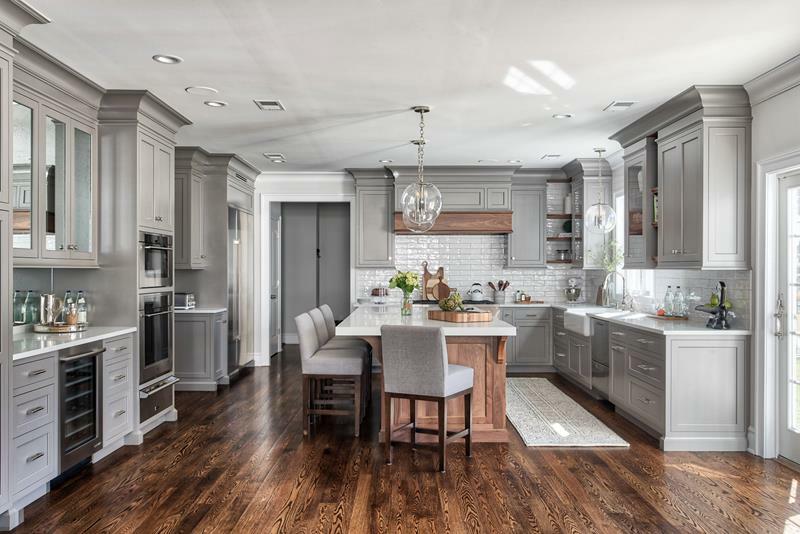 The stainless steel appliances really work with the gray style of this kitchen. 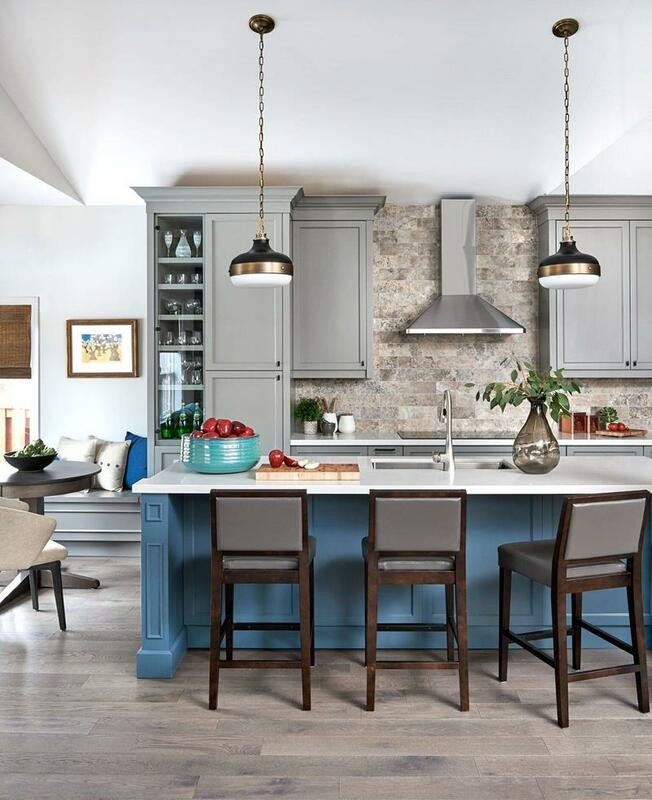 We love how well this kitchen integrates a country style with a modern color scheme. The backsplash and stainless steel appliances work so well to contrast with the dark hardwood. The earth tone gray used for this center island works so well with the stainless steel appliances to complete this elegant look. 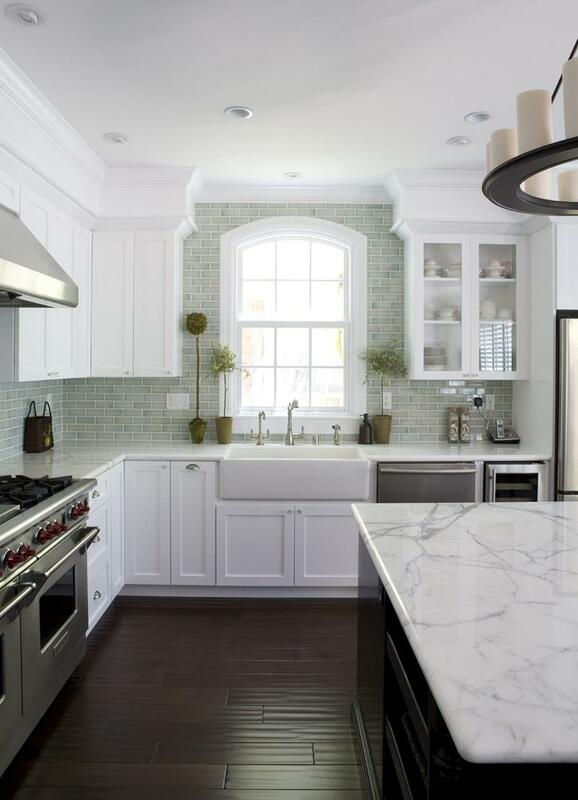 We love the sleek elegance provided by the design of this kitchen. 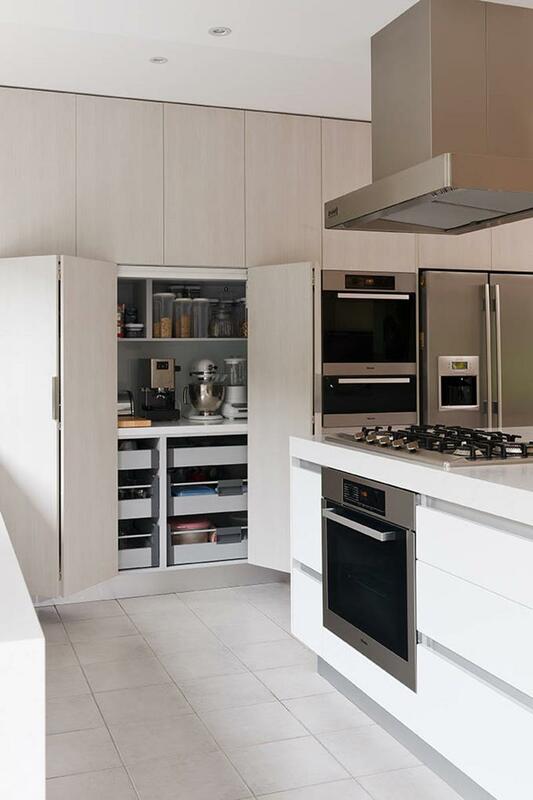 The cabinets take on a modern yet traditional style and the stainless steel work with them well. Photo by Carriage Lane Design-Build Inc. The colors in this kitchen are fantastic and we love how great the stone style backsplash complements the stainless steel hood vent. 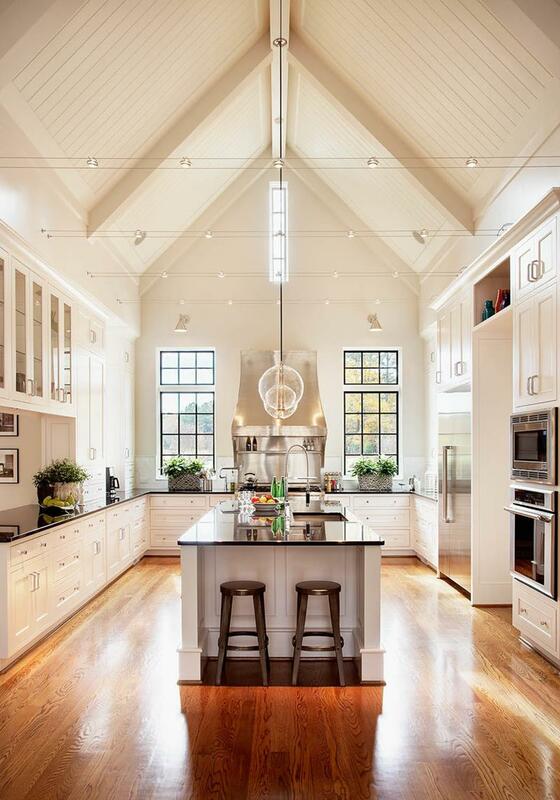 The high ceiling in this kitchen opens up grand design opportunities. 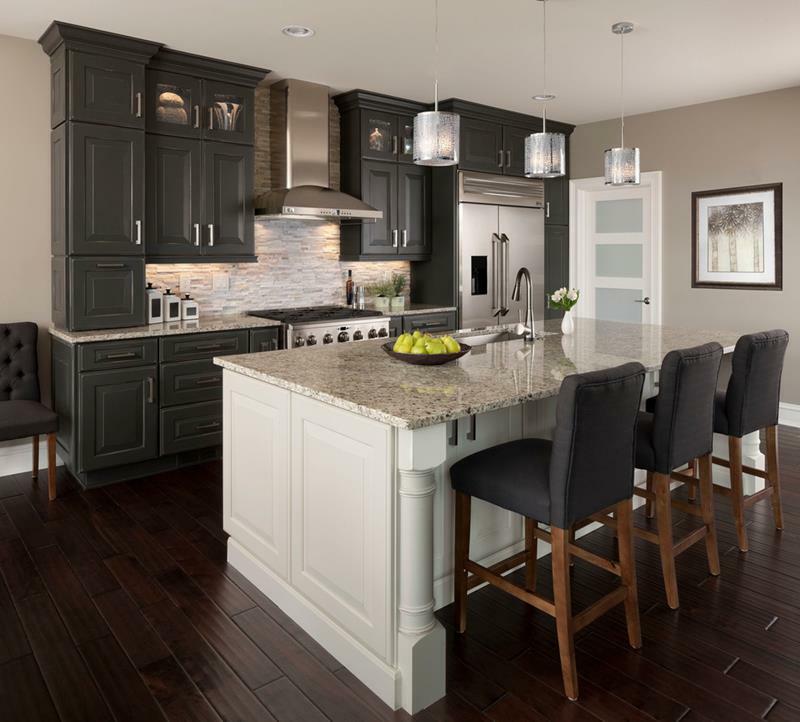 We love how well the stainless steel appliances blend with the darker countertops. 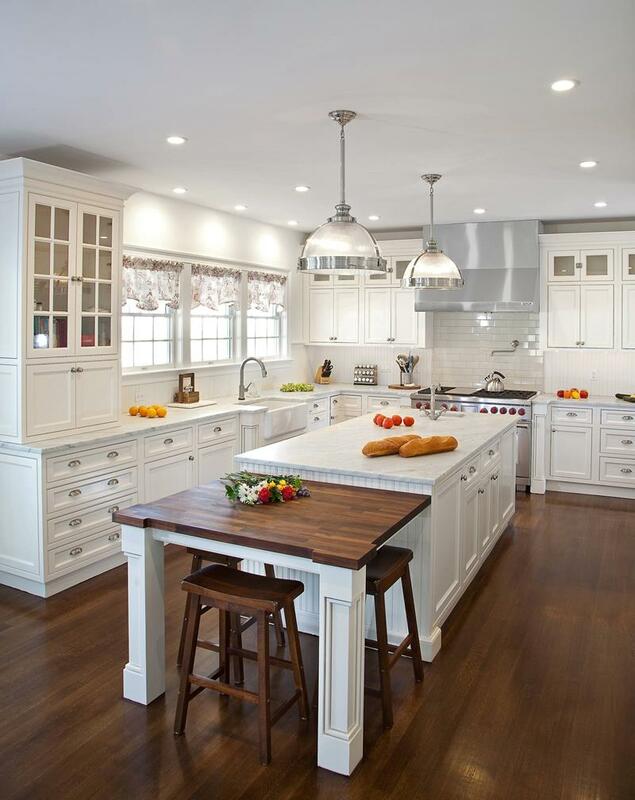 This kitchen takes a great hardwood base and builds a fun and modern space. The stainless appliances work well with the shade of wood. 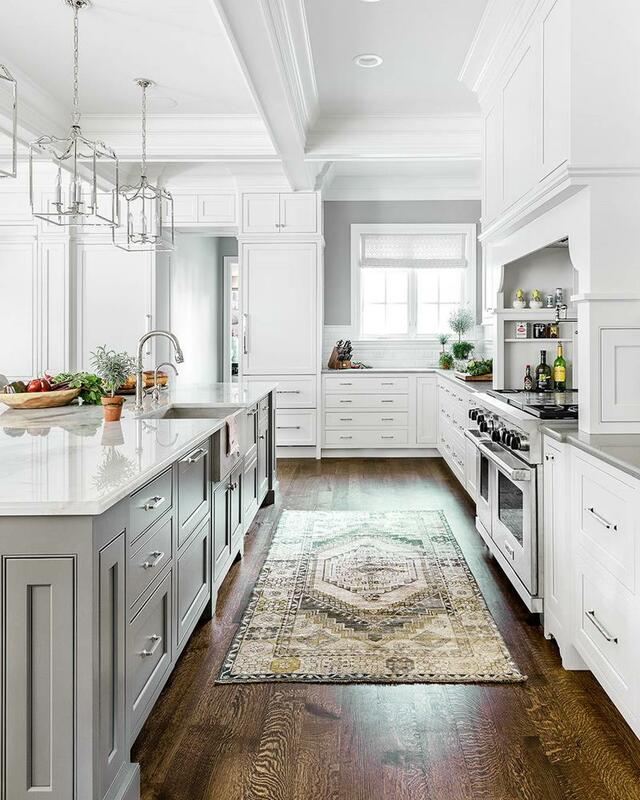 The decor style here helps turn this into a modern country kitchen with a splash of elegance. We love this stainless steel range. 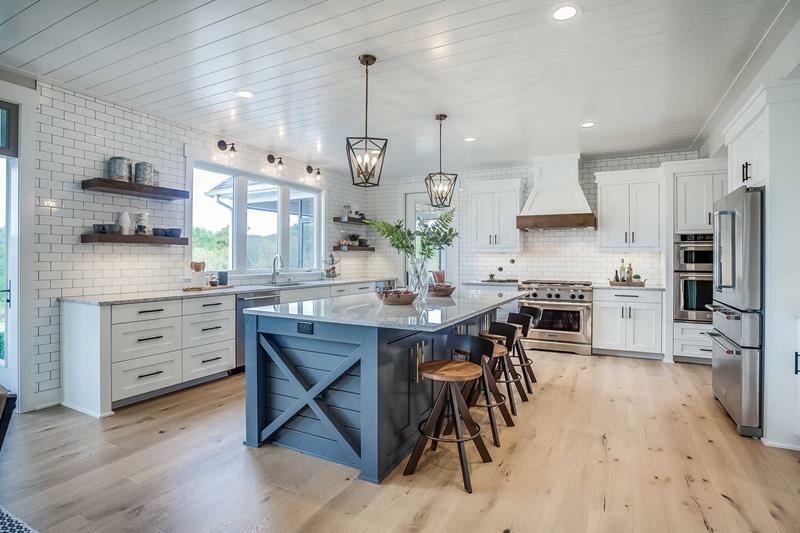 This kitchen is a blend of country and industrial, and the stainless steel appliances give it a modern vibe. The stainless steel appliances in this kitchen work well with the light and dark contrasts at work. There is a bold elegance at work in this kitchen. 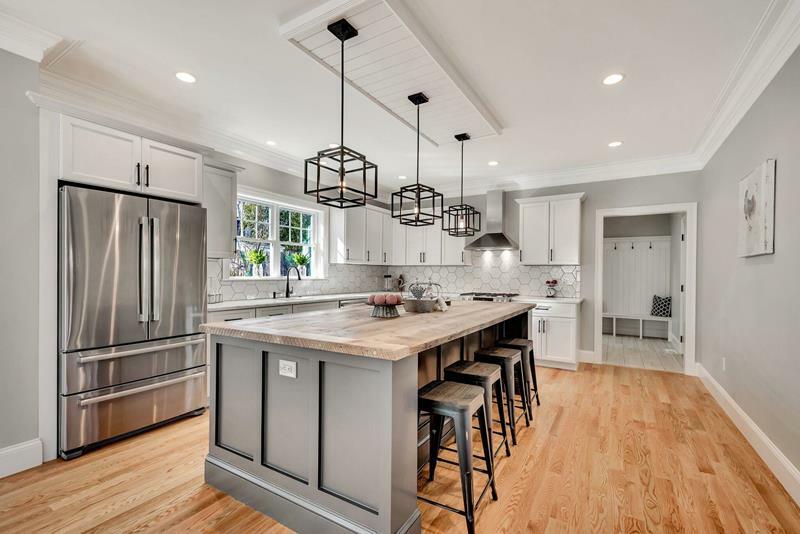 The darker hardwood of the center island and hood vent really work well with the lighter cabinets and stainless steel appliances. 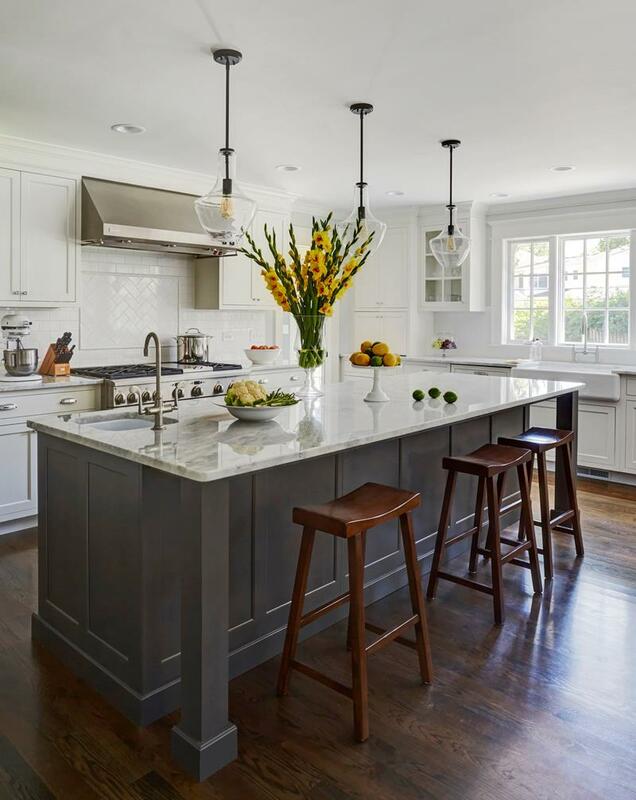 This kitchen is meant to exude a quiet elegance. 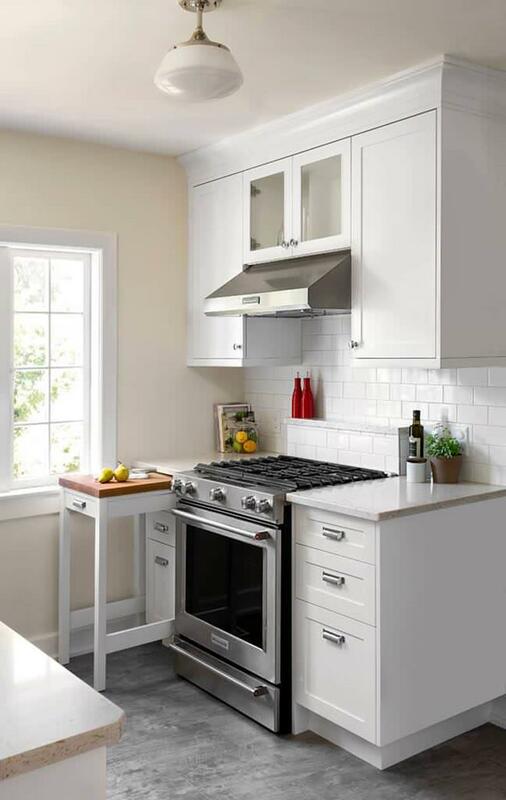 With the flat design of the cabinets, this stainless steel range is a the perfect fit. 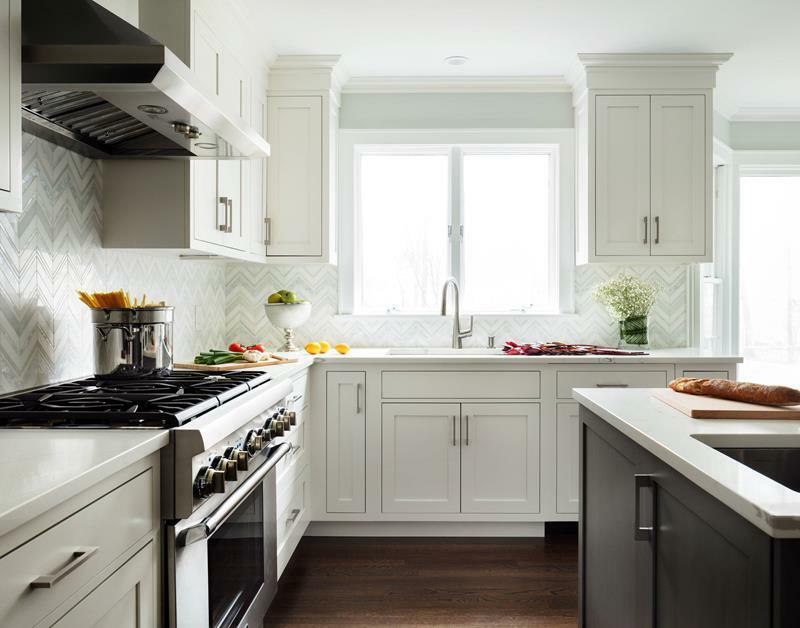 Most of this kitchen has a charming country style, but the range area is makes it shine, with a great stainless steel range and vent and wonderful backsplash. 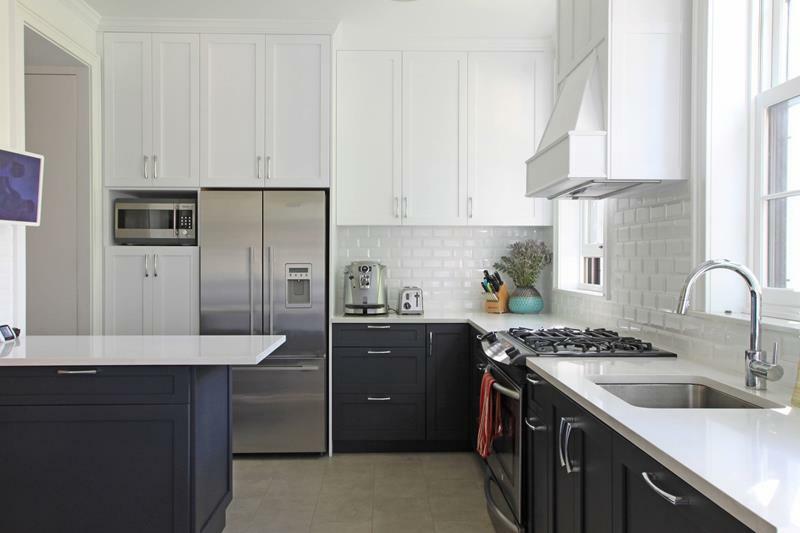 Look at how well these stainless steel appliances match this kitchen color scheme. Even the sink takes a durable stainless design. This stainless steel range is meant to look like an early century piece and it does that well. It is a perfect fit for this beautiful space. 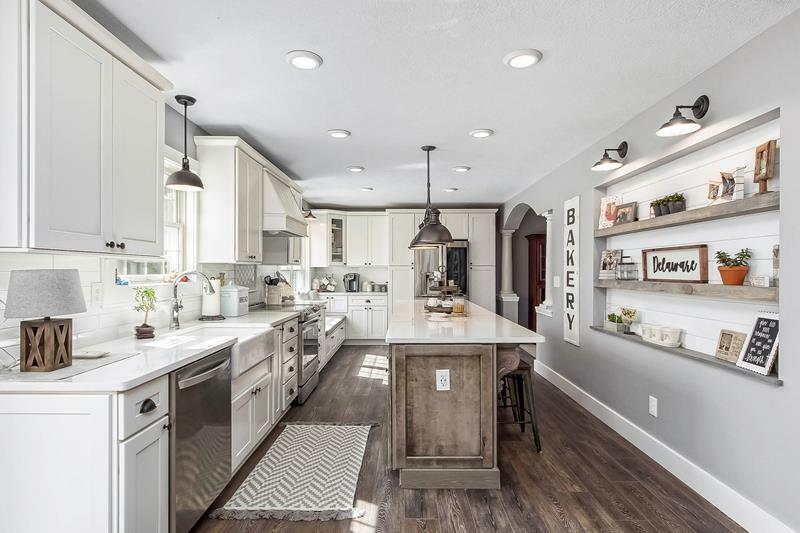 Inside this beautiful kitchen you will find a charming country vibe that works well with these wonderful stainless steel appliances. 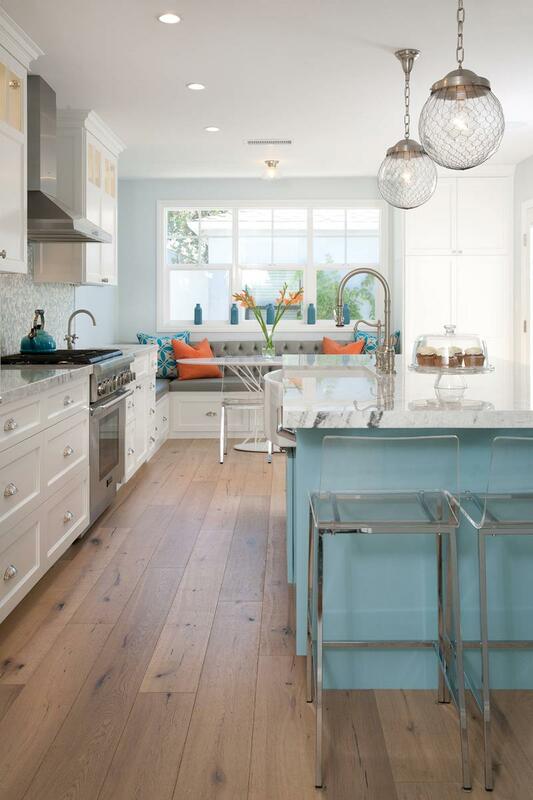 This kitchen has a great color scheme, using white and gray to match the hardwood floor. 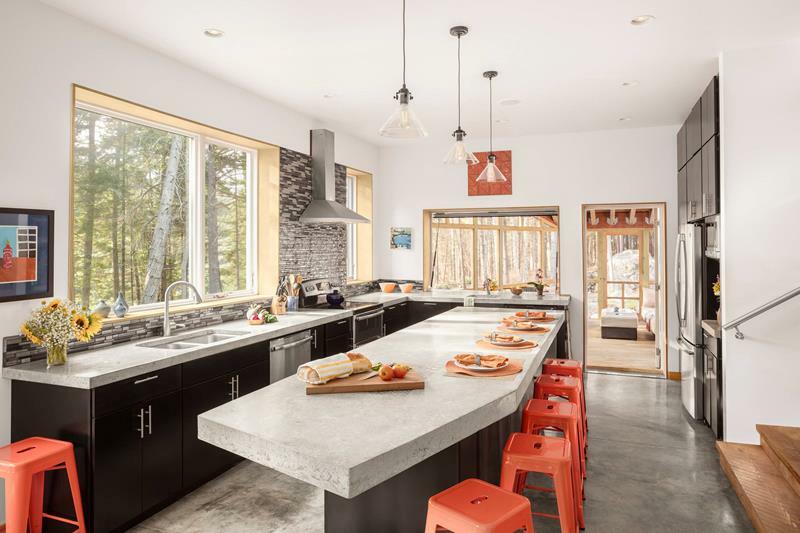 We love how well the stainless steel appliances work with the design. With a flat and minimal approach to the design of this kitchen, we love how the appliances work to give this space a great modern look. 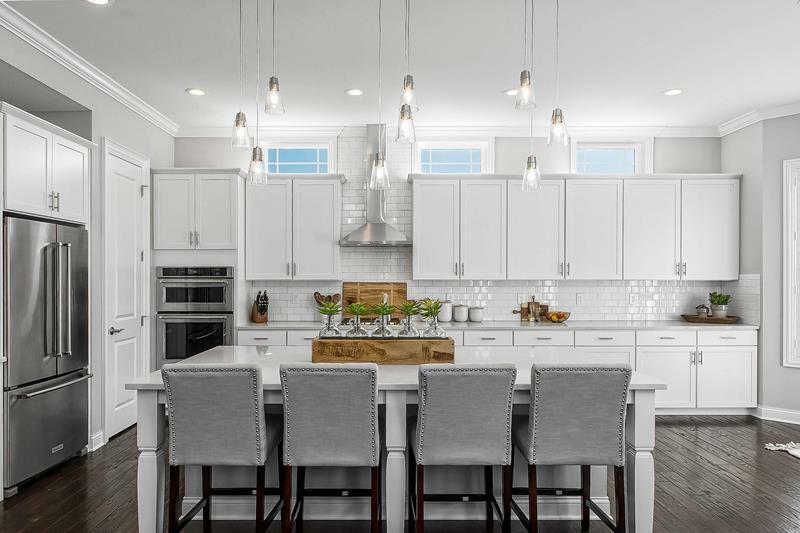 This kitchen is meant to take an industrial look, from the subway tile backsplash to the stainless steel appliances. This kitchen is a great example of how well stainless steel can work with a darker cabinet style. Here, it all work to blend with this beautiful hardwood floor. This stainless steel range is a perfect fit for this cozy kitchen. All of your cooking needs will be met with this stylish piece. 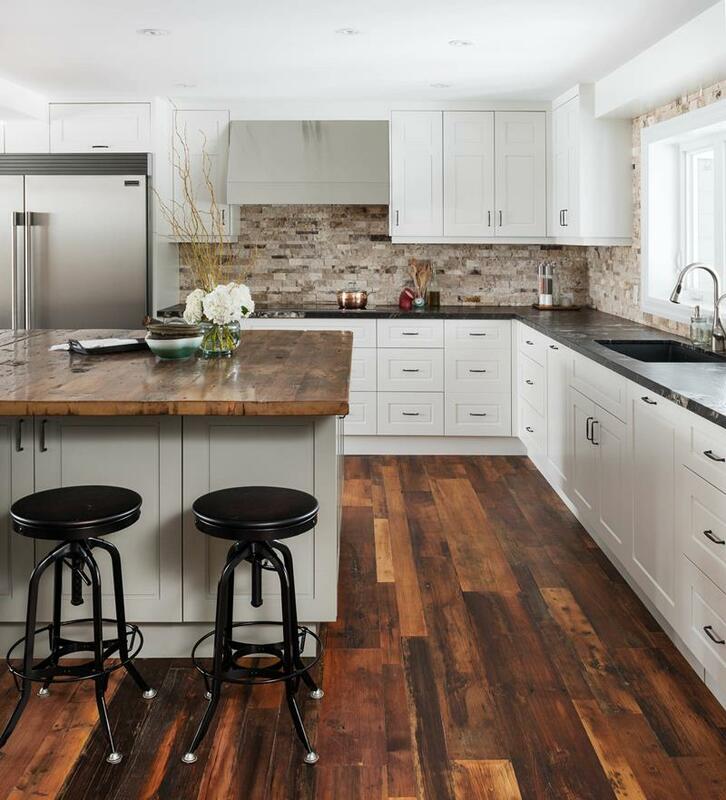 Photo by Soda Pop Design Inc.
We love a bold hardwood floor like this, especially when you use stainless steel appliances to balance with it. 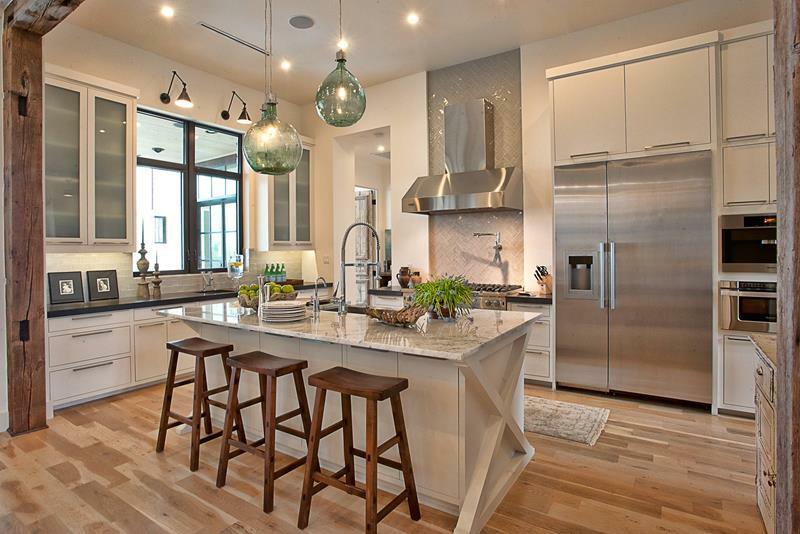 This wonderful open kitchen has a beautiful hardwood floor and overall sleek design. The stainless steel appliances work to bring the elegance. 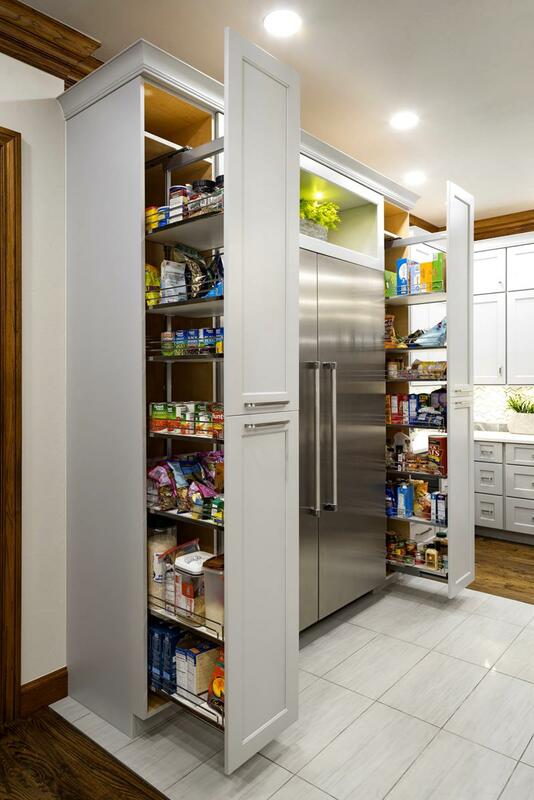 This large stainless steel refrigerator is a perfect fit for this kitchen. It matches the elegant design and works well with the hardwood floor. 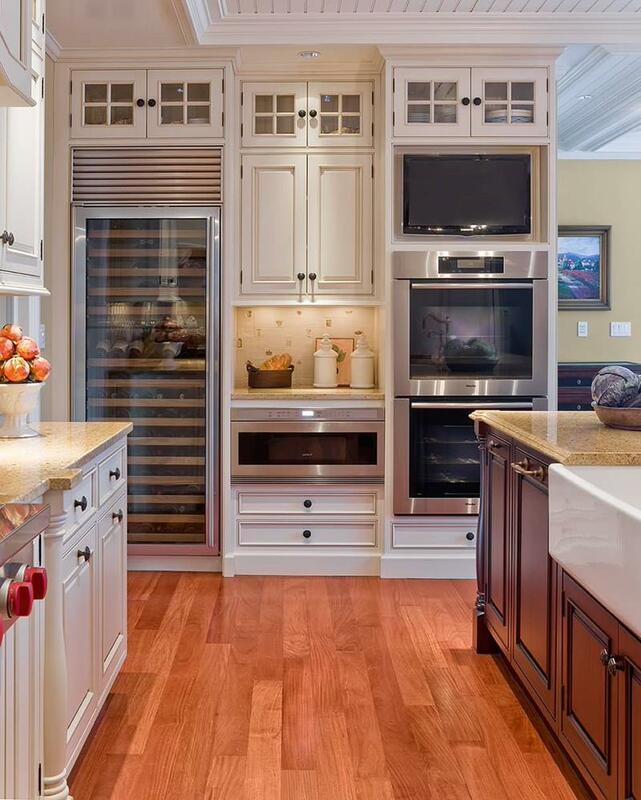 From the wine cooler to the deluxe oven area, these stainless steel appliances are working to give this traditional kitchen a modern look. 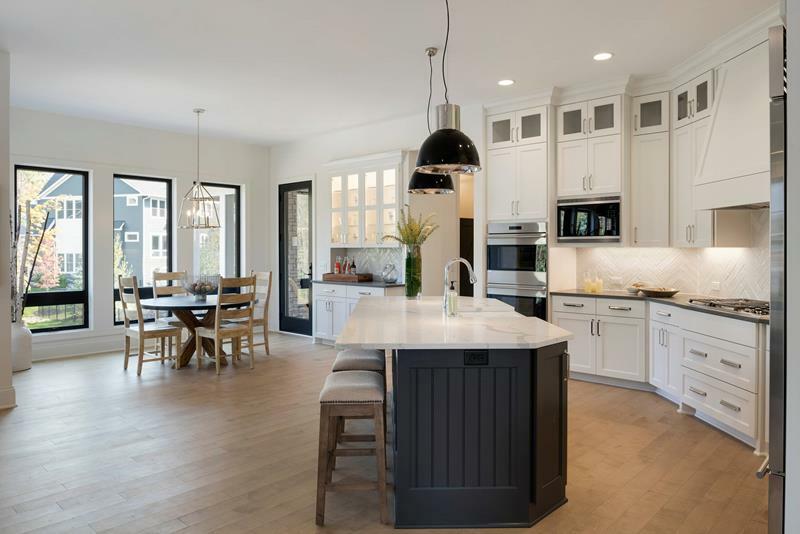 We love how well this kitchen blends right into the great dining area thanks to the open floor plan. The stainless steel appliances bring this space a modern touch. 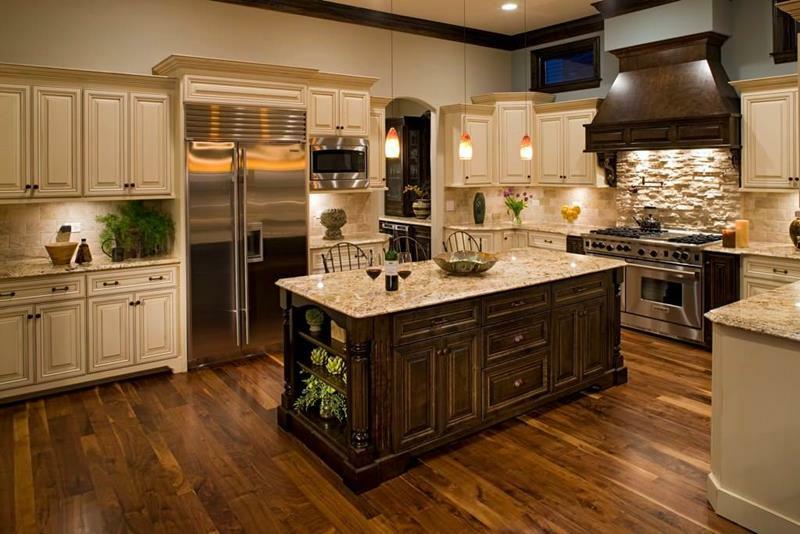 Everything in this kitchen works together, from the large stainless appliances to the beautiful hardwood designs.